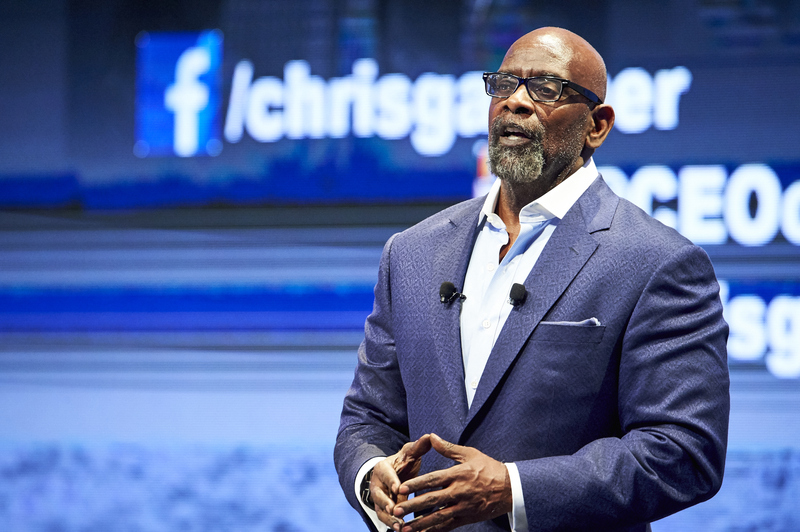 Chris Gardner will share some of the steps that he had to take and obstacles he overcame in order to get from where he was to creating the life that he wanted to live right now. Through his presentation, he will introduce you to the concept of Spiritual Genetics that which makes you, You that has nothing to do with Anatomy, Biology, Chemistry or Physics. That Part of you that can not be measured analyzed or quantified- That of you that has nothing to do with Blood type DNA or pigmentation. That part of you that is beyond the scope, reach or understanding of science, medicine or technology. 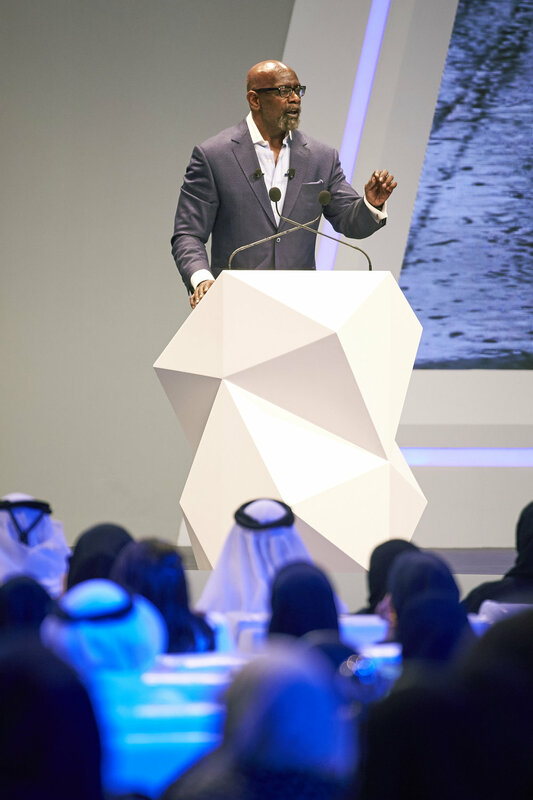 He will also explain the concept of the Universal Dream, an idea that he learned from his mother, who said to him, “ Son, you can do or be anything you want to do or be.” Those words would be the driving force that would take him from being homeless with a baby to having his own successful stock brokerage firm. The Universal Dream also refers to the fact that where you are in your spirit is more important than where you are on the PLANET! The most important experiences in our lives feel the same whether you live in the USA or the UAE! Such as, the birth of a child, a graduation, a wedding a new job or the loss of a loved one. Those are all Universal Experiences that create a family called humanity. Chris will also identify the importance of the “P’s” in our life. Keeping a Promise. He will share his promise, a promise he made to himself as a 5 year old boy; that when he grew up, become a man and have children, his children would know who their father would be. And second, that he was going to become world class at what ever he did in his life. Passion.What is that thing that turns you on so much that the sun can’t come up soon enough in the morning because you want to go do your thing? And finally having a Plan. He will explain how the plan has to have, what he calls, the C-5 Complex (Clear, Concise, Compelling, Consistent and Committed to the plan). He will also talk about Empowerment, the idea of “I drove here” which means if “I drove here” then “I can drive out of here”. You can’t change something until you own it. The only thing he wants you to leave with is to know that if Chris Gardner can do it, so can you. “Thank YOU for making it awesome...you are spectacular. You made our theme come to life, thanks for your inspiration"
Ready to hear Chris speak at your next event?